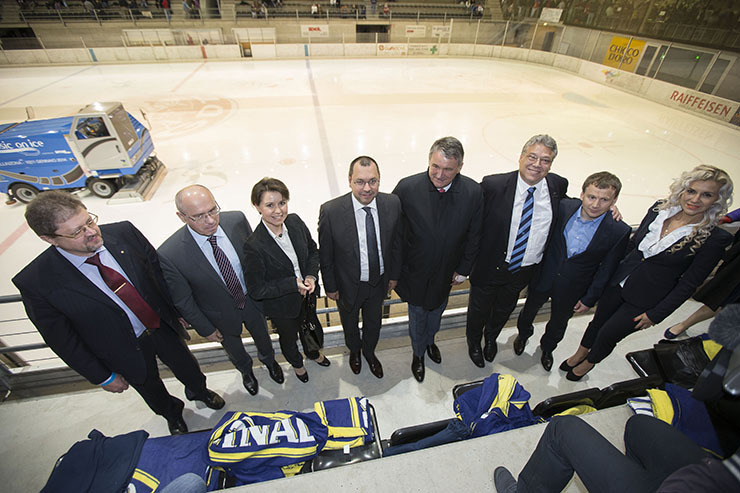 On February 4 in Minsk the team of Swiss (HCAP) veterans met the Presidential hockey team of Belarus on the ice. The President of Republic of Belarus Alexander Lukashenko took part in the match. The Swiss delegation was headed by Filippo Lombardi, Councilor of States of the Federal Assembly and President of the HCAP. He stressed that the match was an important sportive event and was also a good occasion to better get to know each other and discuss further cooperation in economic and cultural fields. 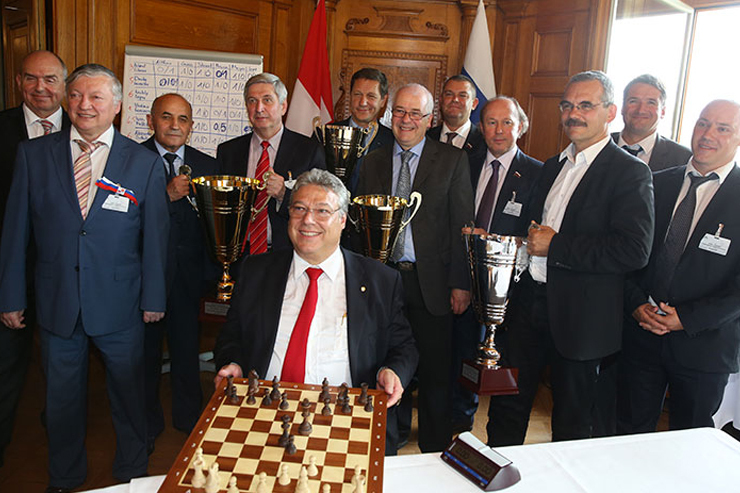 During the visit it was agreed that the return match will take place in the St.Gotthard region later on this year. 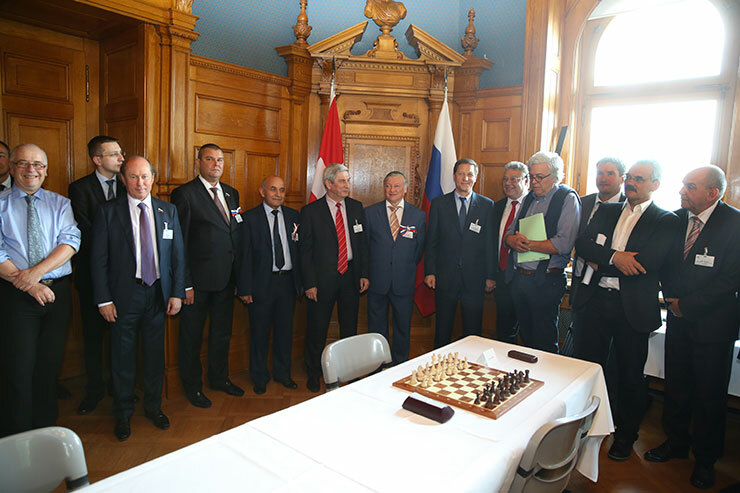 This decision was taken in St.Petersburg on October 15th 2017 during the meeting between the Interparliamentary Groups of Friendship of the Swiss and the Russian parliaments. The legendary crossing of the Alps by Russian soldiers guided by General Suvorov is a very important page of the St.Gotthard history and its identity. The International Suvorov’s Center in St.Gotthard is going to become a platform for the intercultural communication and for conservation of the European historical and cultural patrimony. In the next months the working group for the establishing the Center will be founded. The working group’s task will be to develop the concept and legal aspects of the Center. 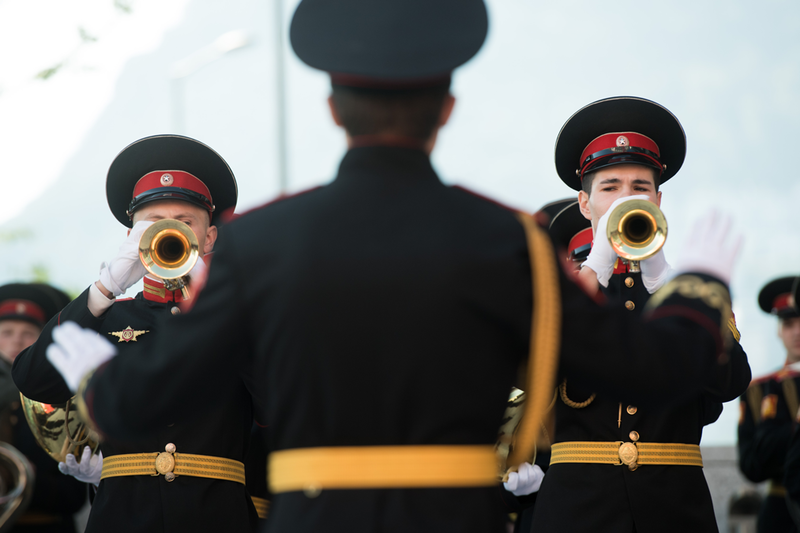 This year St.Gotthard traditionally played an important role at the celebration of the Suvorov days in Switzerland, dedicated to the legendary crossing of the Alps by Russian soldiers during the military campaign against Napoleonic troops. 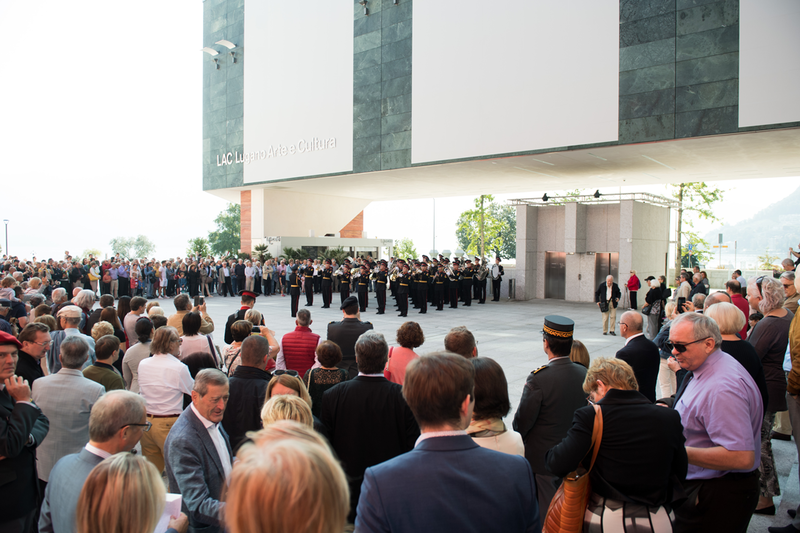 The inauguration of the Suvorov days took place on the 23rd September in Ticino. The official part of the manifestation took place in Bellinzona where the Ticino authorities headed by the President Manuele Bertoli welcomed the Russian Ambassador S.V.Garmonin and the delegation of St. Petersburg. 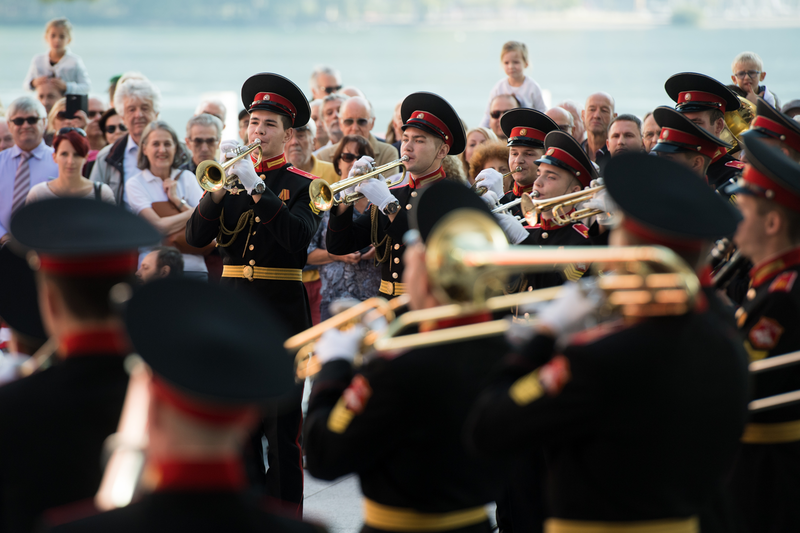 The Ticino citizens enjoyed the concert of the group of cadets of the Moscow military school of Suvorov, which was open to the public in the streets of Bellinzona and the Airolo square. The most important part of this event was the official manifestation at the monument to Russian soldiers in Andermatt. The important Swiss and Russian authorities every year participate at the manifestation. This event is considered a very important cultural platform for expanding historic knowledge and increasing confidence between different cultures. 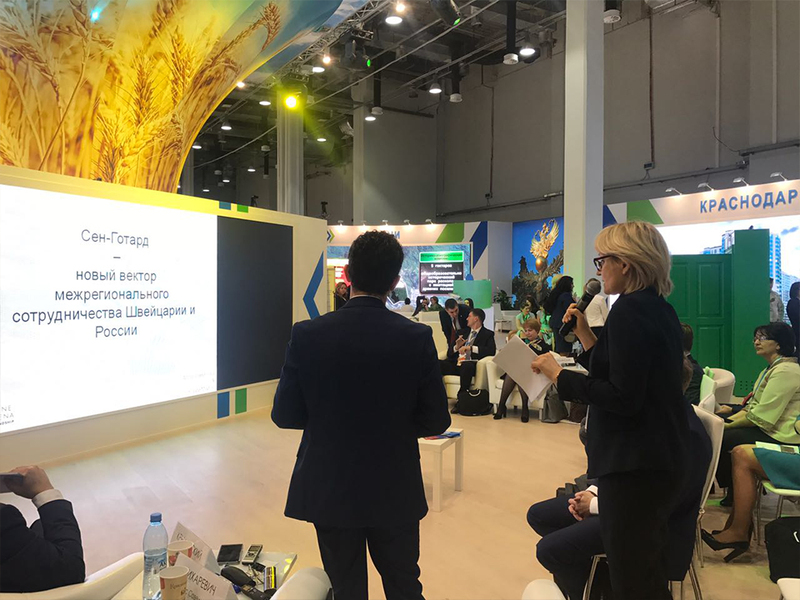 The International Investment Forum in Sochi is recognized as an efficient platform for the regions’ projects promotion. 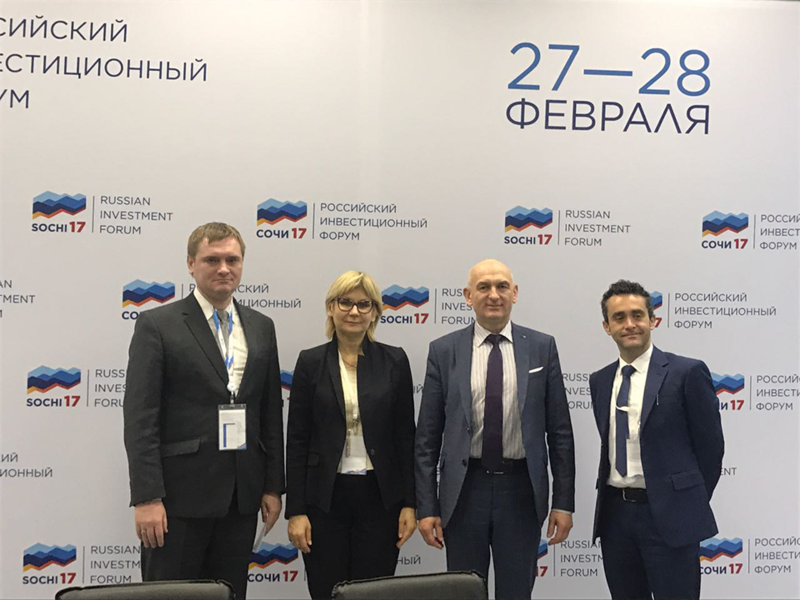 The participants at the Forum are the authorities of the main Russian regions, Russian and international investors and experts.The St.Gotthard region presentation attracted interest of many participants. The meeting with the representatives of Krasnodar/Sochi region’s government who are responsible for the investments and tourism, took place. 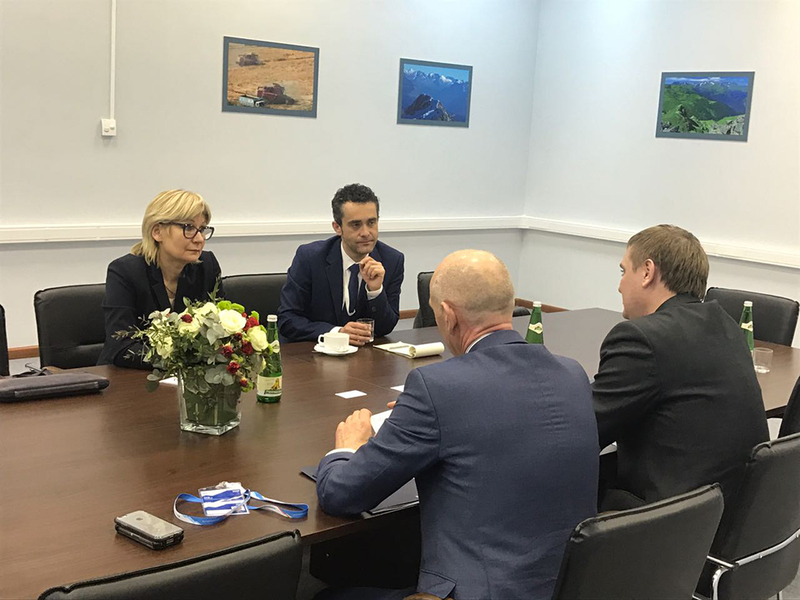 At the meeting the vice-minister of tourism and Olympic infrastructure and the head of Investment department expressed the interest for collaboration between Sochi’s and St.Gotthard resorts (Andermatt and Airolo). They also demonstrated the interest for the collaboration in the field of sport’s projects. On December 29th 2016 in Andermatt the Round table called “Combined communication strategy for the promotion of the St.Gotthard area” took place. It was organized by the Association Alpine Arena for Friendship in collaboration with the Andermatt Swiss Alps resorts and Valbianca SA. 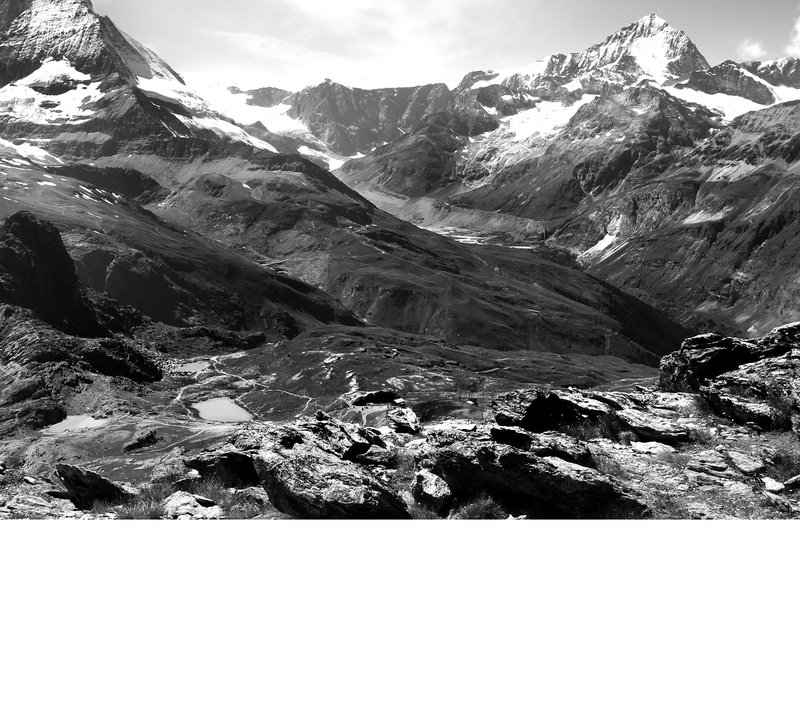 The purpose of the Round table was to discuss the future development of the St.Gotthard ski resorts (example Andermatt and Airolo), its role in the creation of the unique image of the St.Gotthard region and what kind of joint communication instruments could be used to promote the region abroad. At the Round table was also discussed the model and the future collaboration with the Russian ski resort Sochi (Krasnodar region). Every year at the end of September the group of cadets of the Moscow military school of Suvorov come to Switzerland to celebrate the traditional Suvorov days dedicated to the legendary crossing of the Alps by Russian soldiers during the military campaign against Napoleonic troops. The most important part of this event is the official manifestation at the monument to Russian soldiers in Andermatt. The important Swiss and Russian authorities every year participate at the manifestation. 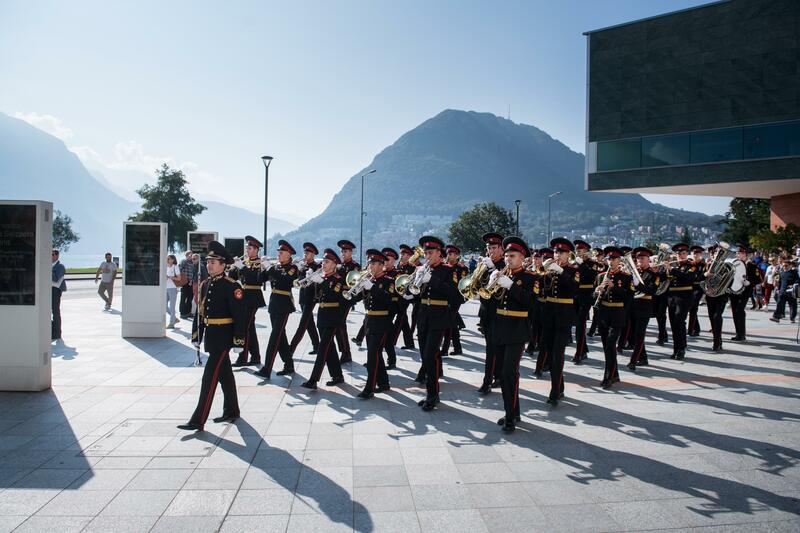 This year 2016 the Alpine Arena for Friendship in collaboration with the Russian and Swiss military and civil authorities also organized the cadets concert which was open to the public in the streets and square of Lugano as well as the exhibition of photos of St.Gotthard places taken by the Russian scientist Engelgardt. 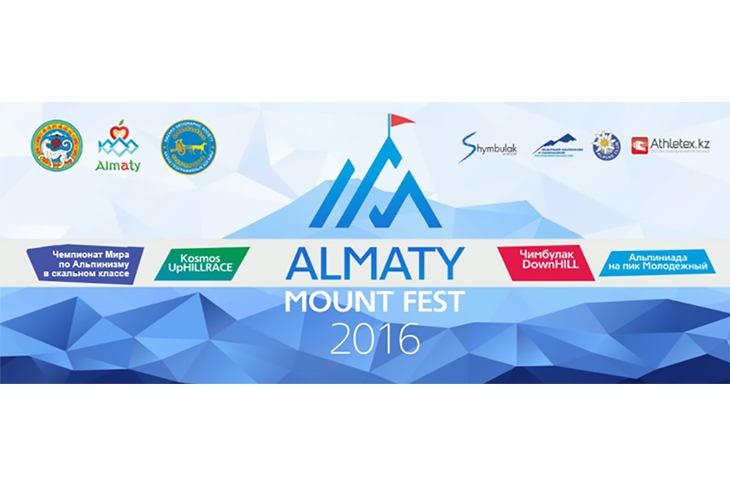 The Almaty Mount Fest is a huge international event dedicated to development of the mountain region. Among the aims of the Festival are also development and promotion of mass types of sports and promotion of healthy lifestyles. The Alpine Arena for Friendship formed the delegation for the presentation of the St.Gotthard region: Petra Filippini, head of communication of the Valbianca SA and Deborah Scanzio, freestyle athlete. At the Forum were presented the particularities of the St.Gotthard region among which the traditional Airolo resort, the new Andermatt luxury resort and the multifunctional arena in Ambri. The presentation has generated a big interest among the Forum participants. 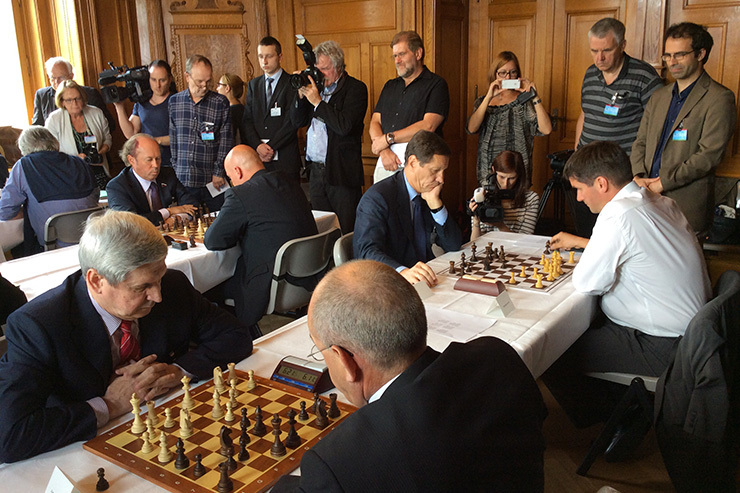 On June14th at the Federal Palace in Bern the first parliamentary chess tournament between Swiss and Russian parliamentarians took place. 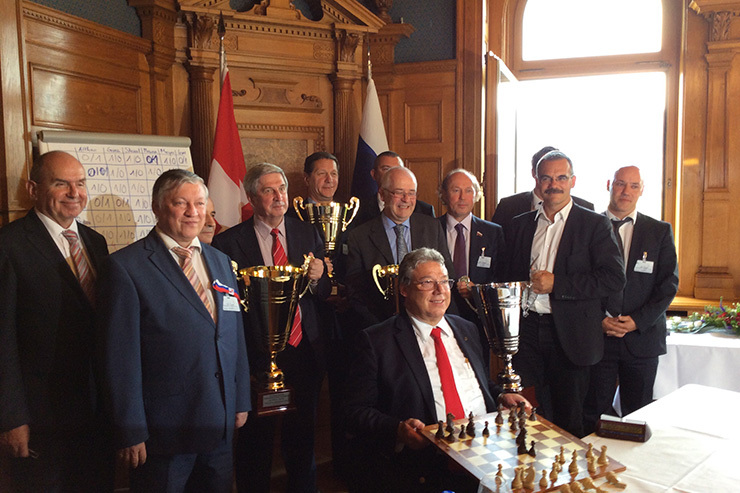 The Russian parliamentarians team was headed by the world champion, member of Russian State Duma Anatoly Karpov. On the Russian team two vice-Presidents of the State Duma Alexander Zhukov and Ivan Melnikov. also participated. The Swiss parliamentarians’ team was headed by National Councilor Jean-Francois Steiert, co-president of the Group of friendship Switzerland-Russia. The team consisted of Christian Levrat, Andreas Gross, Hans Altherr. 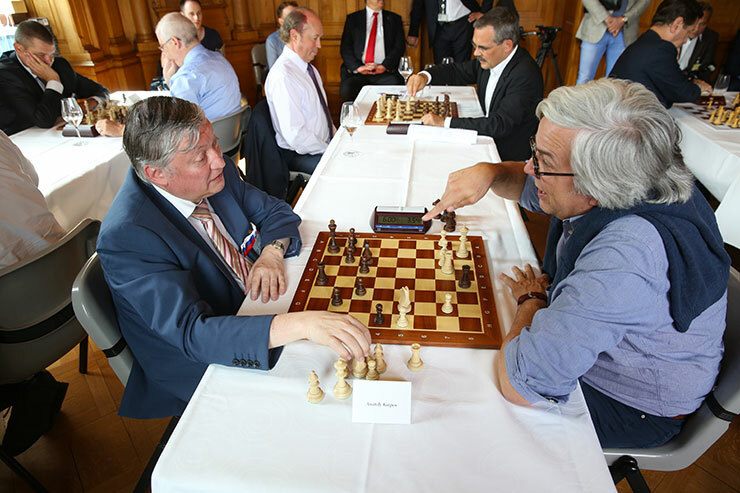 In addition to the victory of the chess tournament by the Russian team headed by the world champion Anatoly Karpov, all participants were in agreement that this event was a sound “intellectual” platform for the parliamentarians discussions. On April 26th in the capital of Canton Ticino Bellinzona a very special hockey match took place. On the ice field the parliamentarians from Switzerland, Russia and Ukraine met. 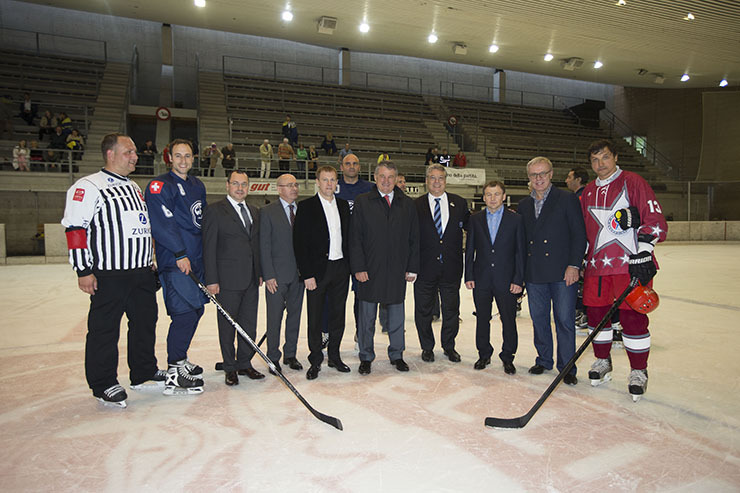 It was the friendship game between Soviet hockey legends and the hockey club Ambri-Piotta veterans. 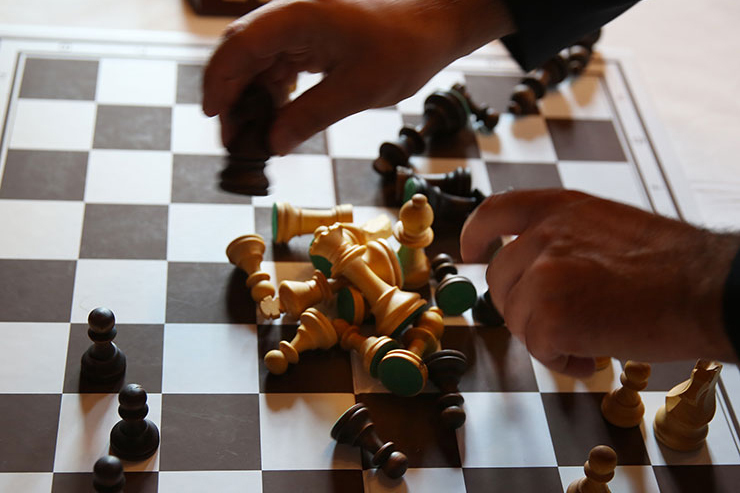 The team of famous Soviet players was represented by Sergey Makarov, Pavel Bure, Valeri Kamensky, Alexei Kasatonov and other legendary players. Alexander Yakushev was head coach of the star team. 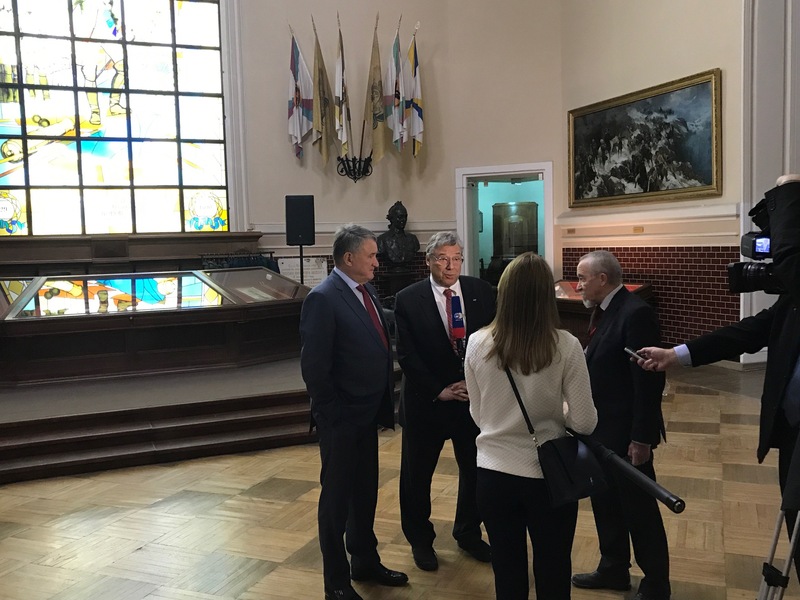 The parliamentarians who participated for the side of Soviet legends were the Federation Council member, hockey star Vyacheslav Fetisov and the Deputy Chairman of the Federation Council Hon. Yuri Vorobiev as honorary coach. 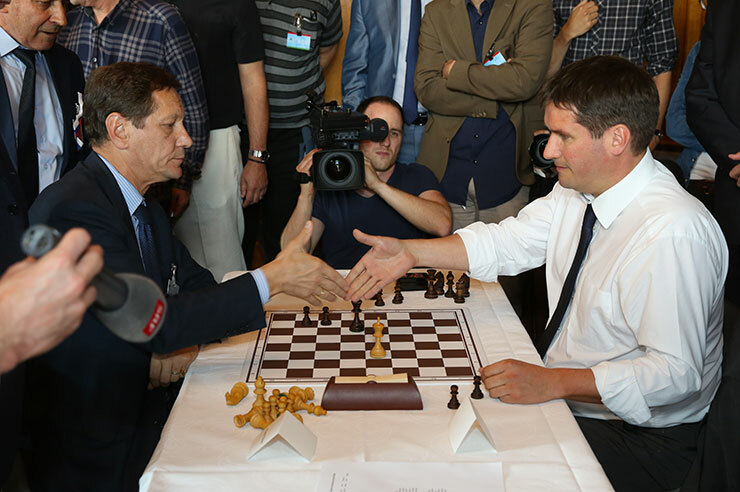 The members of the National Council Laurent Favre and Christian Wasserfallen played in the Swiss team. Among the spectators and fans of hockey were also the members of Verkhovnaya Rada (Parliament) of Ukraine Michail Opanashenko and Vitaly Khomutynnik. The match was also attended by members of diplomatic corps, the Ambassador of Russia Alexander Golovin and the Ambassador of Ukraine Igor Dir. This very special game attracted many local and international spectators and hockey fans. Also the representatives of the Executive authorities of Canton Ticino demonstrated a great interest in this game. The Ministry of justice Norman Gobbi participated as a referee. 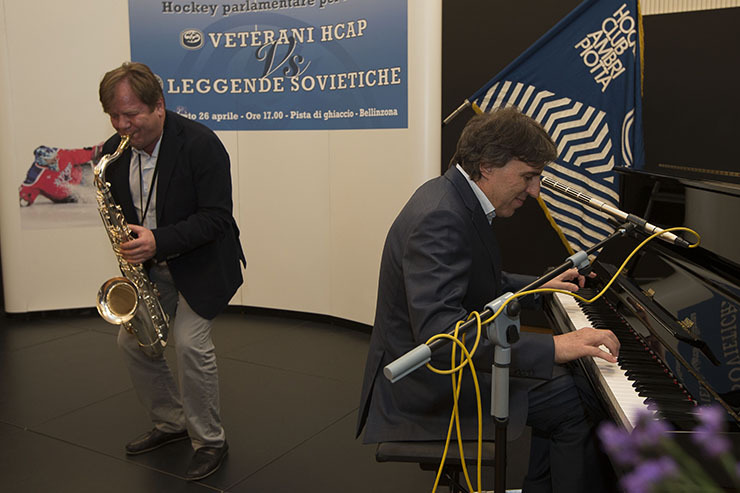 The most magical and emotional moment of the event was an improvisational concert of a trio formed by the President of Ticino Government Manuele Bertoli (piano forte), famous Russian saxophonist, amateur of hockey Igor Butman and the wife of the Ambassador of Ukraine Galina Dir, opera singer. Group of friendship Switzerland-Ukraine of the Swiss Federal Assembly. 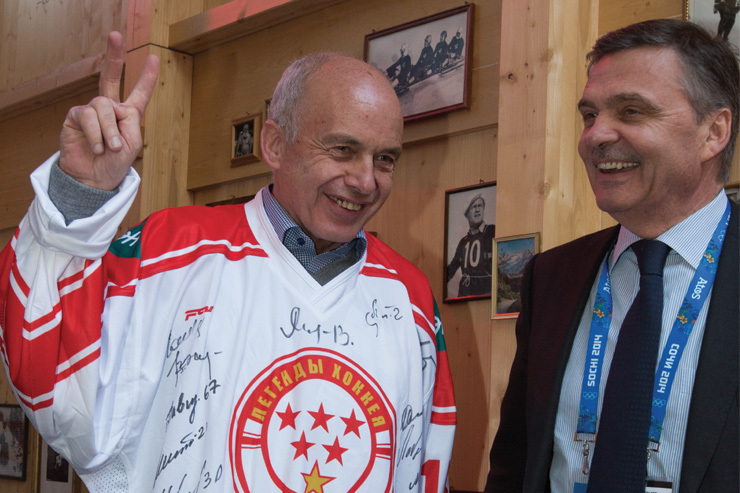 The Ice Hockey Legends was the special event initiated in collaboration with the Embassy of Switzerland in Russia and the Presence Switzerland on February 14 during the Sochi Olympic games. 2014 was also the year of the celebration of the 200th Anniversary of the diplomatic relationship between Russia and Switzerland. 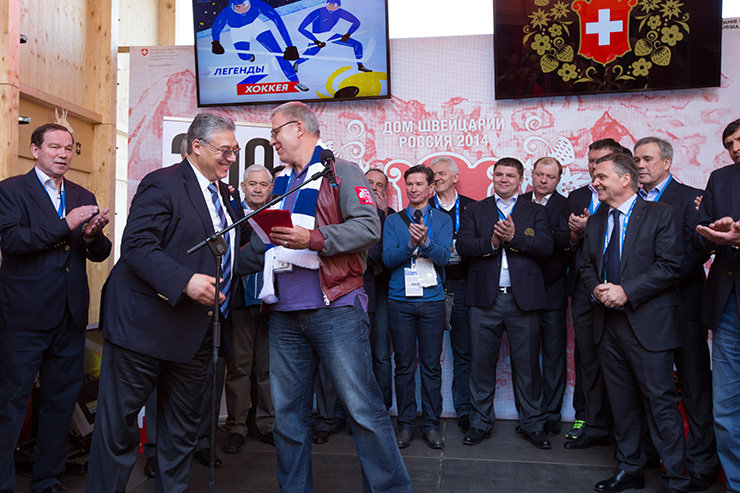 The idea of the event was to emphasize the connection between Russian and Swiss traditions of hockey and the role of the Soviet hockey coach and players in the forming of Swiss national hockey. 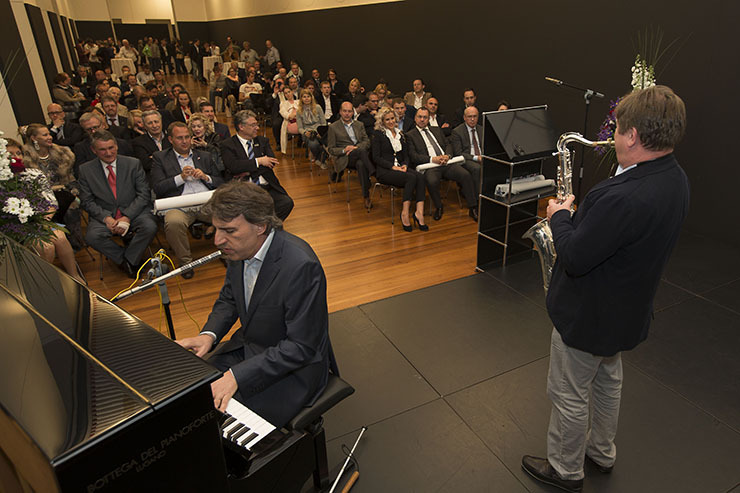 Many hockey legends who worked in Switzerland visited the House of Switzerland on that day. Among them were Alexander Yakushev, Slava Fetisov, Vladimir Yursinov, Igor Larionov, Slava Bykov and many other hockey stars. At the event the managers of the Swiss National Hockey League and Continental Hockey League were present. At the conclusion of the event all the guests were greeted by the President of the Russian Federation, Vladimir Putin, who personally visited the House of Switzerland. The President of HC Ambri-Piotta Filippo Lombardi put the scarf around the shoulders of the Russian President marking the role of hockey as an excellent instrument of communication and understanding.